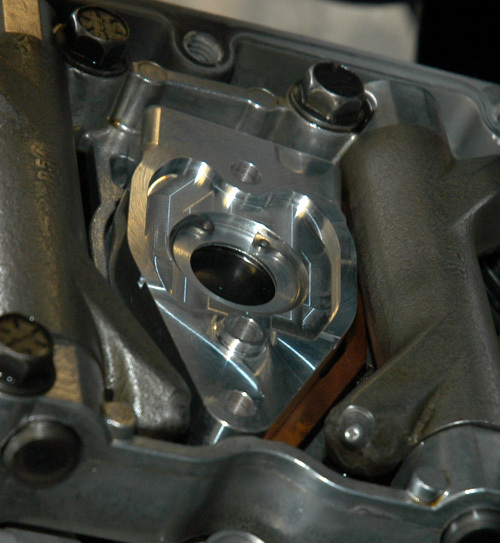 It is not uncommon to have more crankcase pressure when engines are modified. 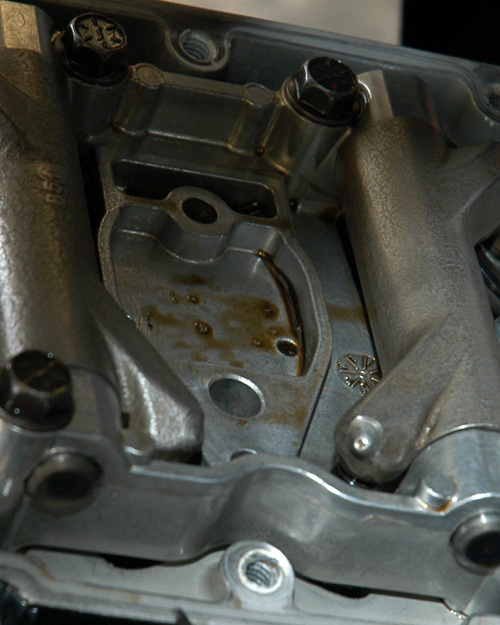 The engine demands increased venting. In most cases the pressure is minimal and just enough to be aggravating. 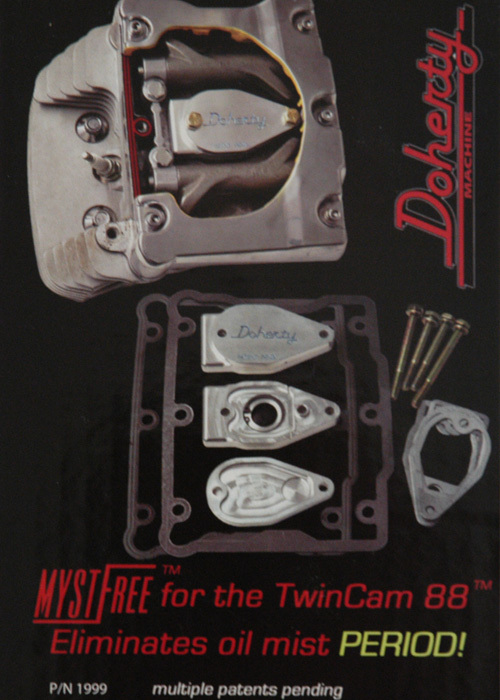 In the case of the 1999 – 2006 Twin Cam 88 Harley Davidson engines, this is easily eliminated by installing a Doherty Machine MYSTFREE breather unit. 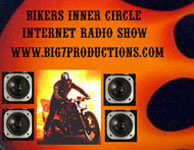 The kit comes with all parts needed and easy to follow instructions to replace the factory breathers. 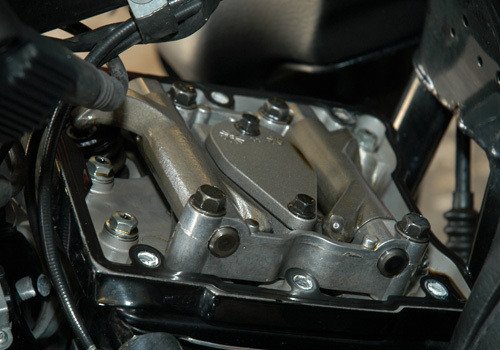 If you work on your motorcycle and have some hand tools and basic knowledge you should be able to do this at home quite easily. Rogue’s dresser. Not many see the miles this one does. I started by removing the seat and the battery ground cable. The instructions say you can raise the gas tank and not have to remove it. I opted to drain and remove it for more room and also better light for these photos. Remove the six bolts securing the rocker box cover using a 7/16 box wrench, 3/16 Allen wrench or 6529 Kastar Rocker Box Wrench. 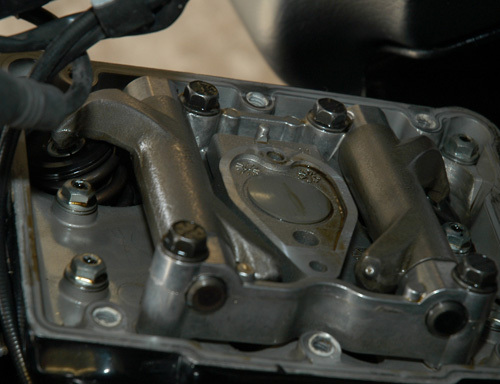 Discard the old gasket and then remove the two bolts from the stock breather with a 3/8 socket. Clean the rocker box. There’s the stock breather, we’re going to replace. 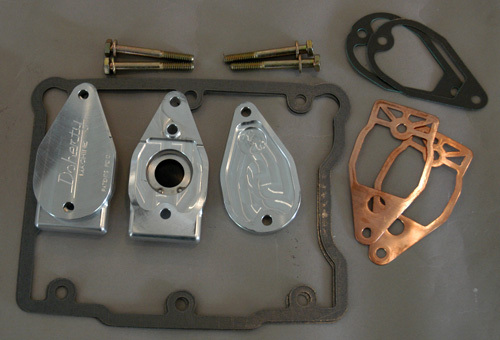 Install the copper gasket, lower unit, paper gasket, and the top plate. Use a little blue Locktite on bolt threads and torque to 90-inch LBS. 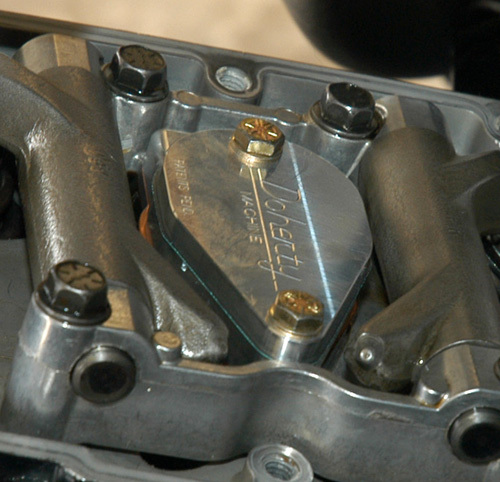 Install the new rocker box gasket and tighten bolts in sequence shown in the shop manual. Torque to 180-215 Inch LBS. Installing the lower plate of the new breather. 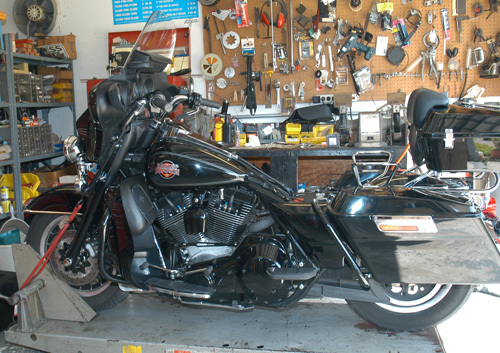 Repeat for other cylinder, re-install gas tank, connect battery ground, install seat, start engine and check for leaks. There were none, so I went for a ride. When I returned there was no misting or fluid creeping out the breather. 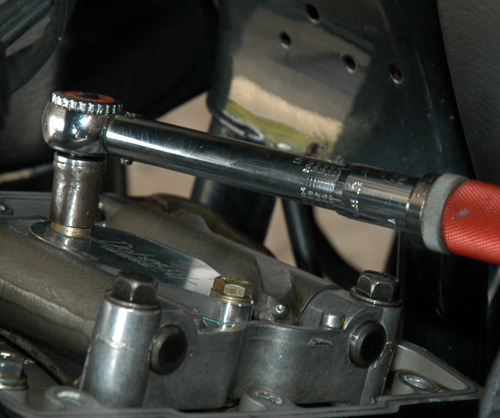 Taking the torque wrench to the breather fasteners. I wish every job was this easy and worked as well. Give the MYSTFREE a try. I am sure you will be happy you did.